I his black-and-white seabird has a dumpy outline and narrow wings, which give it a characteristic, whirring flight. It feeds at sea, diving from the surface to swim underwater, using its wings as flippers, and taking animal plankton (tiny, drifting marine life). Dovckies breed in swarming colonies on rocky screes in the far north, wintering on the open sea, and sometimes driven inland by storms. 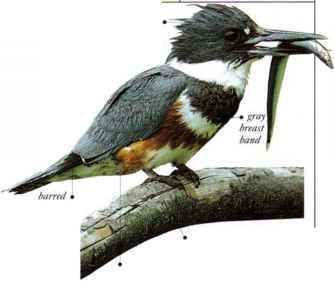 • NEST Kggs are layed in an unlined rock crevice or in a burrow. • DISTRIBUTION Breeds on coasts of the Arctic Ocean. Winters at sea in N. Atlantic Ocean.